It is 7 o’clock in the morning; the sun is rising up on the beach of Haad Rin, Koh Phangan, Thailand. The calm blue sea and palm trees are the protagonists of this idyllic picture. The sound of the waves and the tweeting of birds, parrots and unidentified fowl blend with the delicate clatter of dishes, cups and glasses at the bar where they are preparing breakfast. Also if you don’t use to wake up early in the morning the first days in Koh Phangan you’ll do jet lag insomnia! And it will be easy for you because this early wake up will give you the opportunity to visit Koh Phangan when it’s totally quiet, especially if your early wake-up day is the day after the famous Koh Phangan Full Moon Party. On that day you’ll not meet anyone on the island before 12 o’clock! The full moon party, one of the world’s most famous rave that takes place every full moon and that gathers thousands of westerners, is one of the good reasons to visit Koh Phangan, but not the only one. 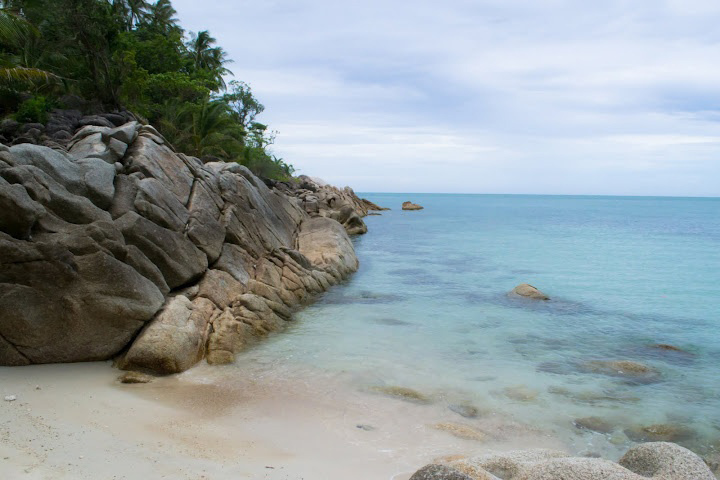 Let’s see concretely the 7 good reasons to visit Koh Phangan. Bottle Beach: this is an isolated beach which can be reached only by boat or by a jungle trail, from Chaloklum. It’s located on the wild side of the island, and it’s really wild: totally surrounded by green and lush forest and with a great sea full of marine wildlife. In the nearby, you can also visit some river and waterfalls, where you can bath. But beware to bath in the right ones, because maybe you find some dangerous snake there! Ask the locals to refer to an organized tour. 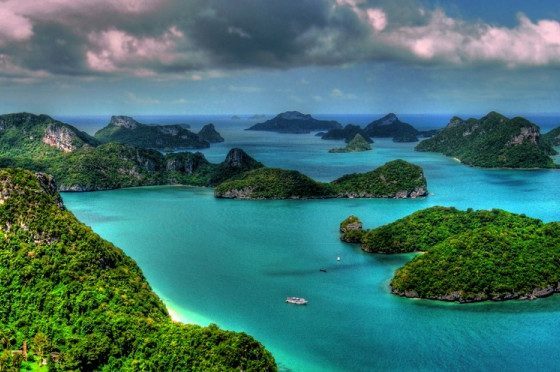 Angthong Marine Park: An archipelago of 42 uninhabited islands, reachable by boat with one of the many excursions organized by various local tour operators, located near Koh Phangan. A natural wonder where your eyes will be lost between the colours of the sea and the green of the islands. A drug for the soul: spectacular views, paradisiacal landscapes. Sail Rock: Sail rock is the topo diving sport in Koh Phangan and a must if you love diving and you visit Koh Phangan. If you are not a scuba diver, you can also go snorkelling especially in the north of the island, in Mae Hat bay, where if you’re like, you can see also marine turtles. If Thailand has a reputation for being the land of smile and hospitality, the people of Koh Phangan are probably living example. Nowhere as in this island people are so friendly, polite and smiling. 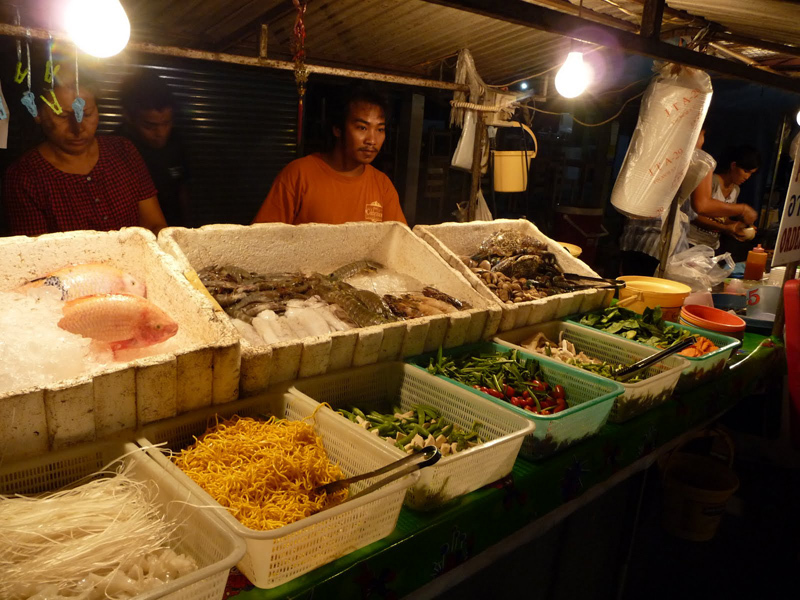 The city market of Koh Phangan is divided into two parts: one where the food can be bought and one where the food can be eaten. The amazing thing, especially in a first moment, is unhygienic of the market. The flies overfly freely on fish, meat, fruits and vegetables. The fish is thrown into the bowls (which are commonly used to wash clothes), the meat is exposed to the sun throughout the day as well as eggs. There is a great variety of shapes and colours of fruits and vegetables. The fishmonger catches a fish with his bare hands and envelopes, then take the money, then grabs a handful of prawns, which re-pack and sell to the next customer. Hygiene aside, the other area of the market, is an oasis of taste. Pad Thai freshly prepared for a few baht, snacks, appetizers, desserts and juices, all strictly Thai. Tip: you should better go there with empty stomach. 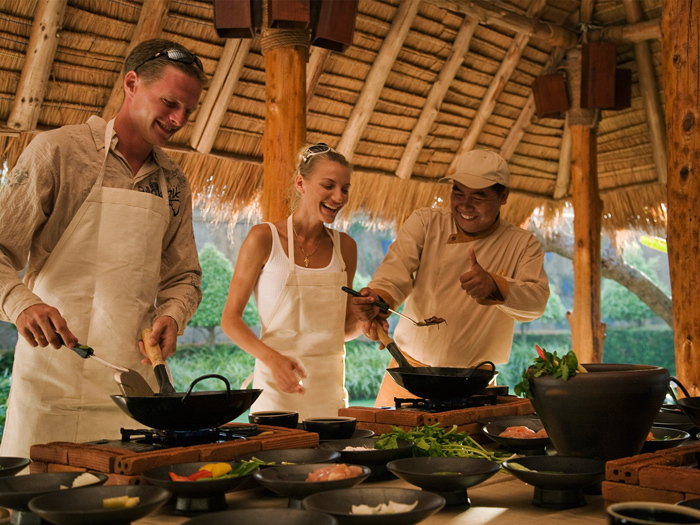 Probably not become a master chef, and probably on your return home you will continue to order takeaway Thai food, but to know secrets of Thai cuisine worth a good sweat on a hot afternoon at Koh Phangan. Chicken with green curry, coconut soup, spring rolls and pad thai will no longer be a mystery to you. Standards of hygiene aside, you will be charmed (in all senses) from this exciting culinary experience. Of course, you will prepare everything for yourself! The best café in Koh Phangan and one of the best places I’ve ever been. Located on a hill about 1 mile out of Thong Sala(beware if you access it on a motorbike! ), is divided into two floors: one with a swimming pool and the other, bigger, where you can lie back and relax. On both floors, you can enjoy a beautiful and exciting view, especially at sunset. They serve delicious Thai dishes, including one of the best egg noodles pad thai; and for those interested is good to know that smoking one or more joints is freely accepted and supported by the staff. 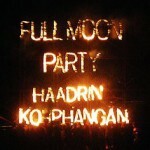 Everyone who comes to Koh Phangan usually participates to the full moon party: a crazy party which takes places every month according to the lunar phases at Haad Rin beach. This event is really one of the must participate parties in the world! 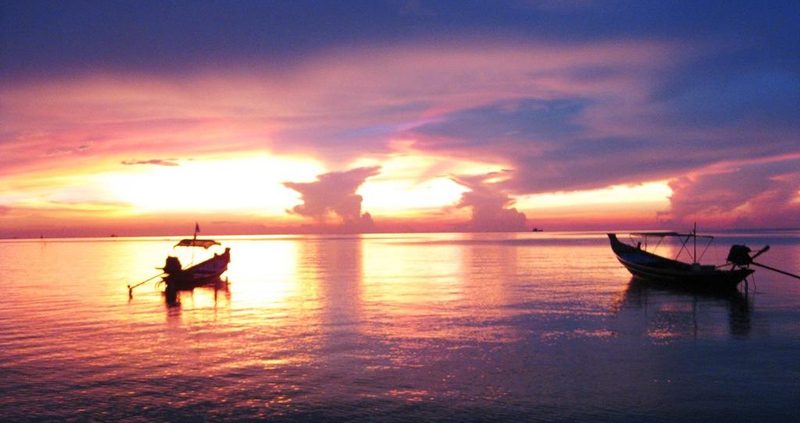 This is surely one of the 7 good reasons to visit Koh Phangan, both if you are a party lover or a party pooper. And if you like a party but don’t want to participate to such a big event, you can also have fun during Black moon party (15 days after full moon) which takes places in the jungle, or to half-moon party, two parties which take places 7 days before and after the full moon. 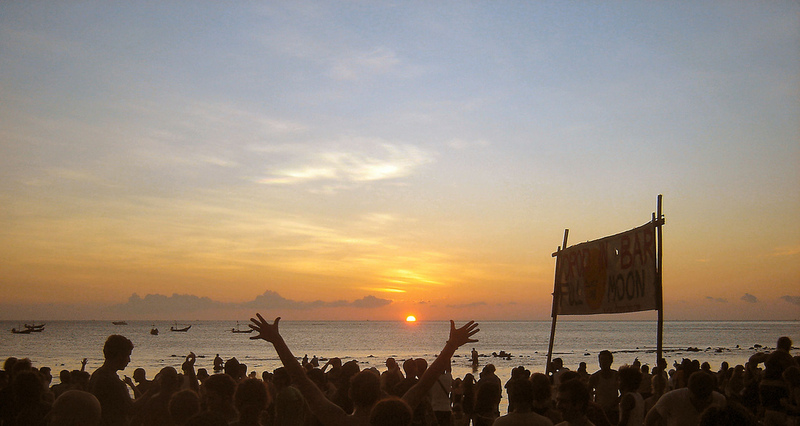 If you visit Koh Phangan, party opportunity will surely not miss. It was probably more popular during the ’80s, but in Koh Phangan is still live. 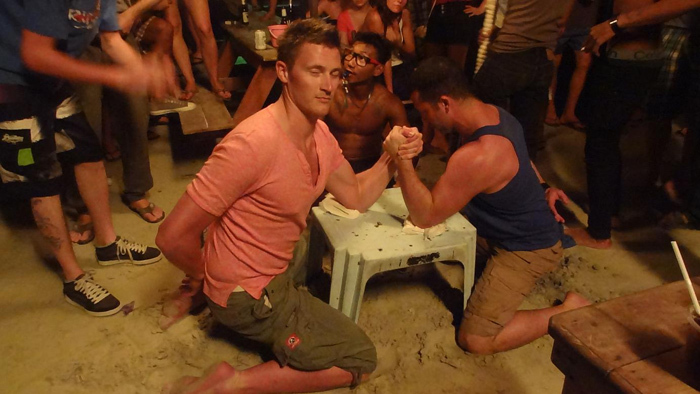 Every evening at Haan Rin beach (the beach of full moon party), groups of men and women, more or less young, more or less drunk, more or less hunky, get involved in “one by one” challenges where to the sound of the whistle everyone shows viewers who is the stronger, cooler and beat his direct opponent. The loser leaves the field, who wins continues until in the beach there is no one so brave to challenge him. The prize? A bucket of vodka & Redbull. It’s very funny either to participate or just to have a look. Enough to put a bug in your ear?